From an industrial design point of view the Jabra Supreme was a real design challenge: It has a larger electronics-package that soehow has to fit into it’s shape than most other headsets and a flipping boom-arm and a moving ring on the back side for improved ergonomics of the ear hook. All this needed to be packaged into one shape that would work both on the ear and off the ear, when folded. 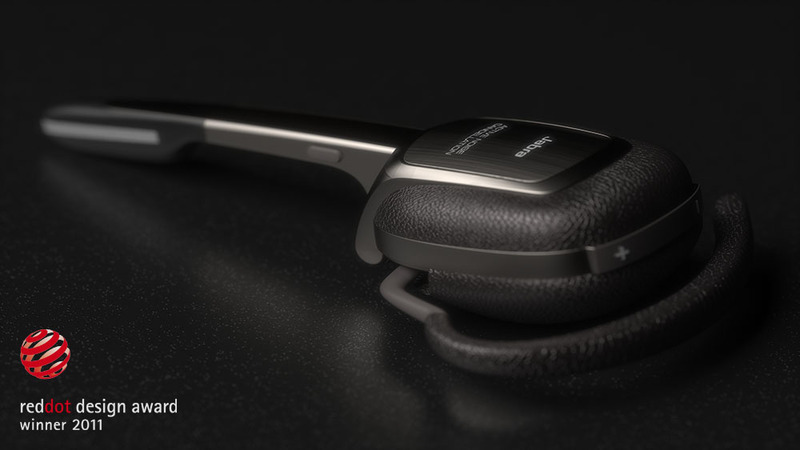 A really feature-packed headset with limitied possibilited for the shape – I tried squeezing the most out of the ID! The ID has its roots in the music/audio-category of products, where inspiration was gathered for the cushion design. The ‘metal’ body itself was inspired by watches, and how the links works on the wrist band.